The best thing about recruiting is that concerns and questions tend to pop up throughout the entire year. My continued analysis of Oregon Duck football recruiting has me asking the tough questions as we begin the month of August. 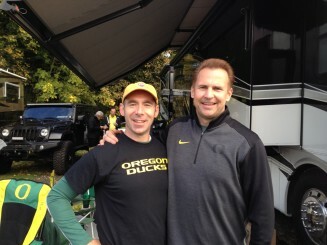 Big Duck fans, the author with Steve Roberts enjoying a reunion before the Stanford game in 2014. With the tremendous, early start to the 2016 recruiting class, the tough questions aren’t easy to find. With a class ranking already inside the top 15 midway through the recruiting season, Oregon is poised to finish with a top 10 class for only the second time in school’s history. Nik Brownlee had a very nice analysis a couple of weeks ago with the current committed prospects. This class is built for success. My first question after looking at the positions that are filling up is, “Why isn’t there an elite lineman committed yet?” I have no answer for this. I can understand that some offensive linemen might be a little wary about committing when the Ducks brought in so many O-linemen last recruiting cycle. However, all championship teams have solid backups, and backups often make it to the field. This year seems like the perfect year to grab at least one elite offensive lineman to bolster the incoming freshmen a year from now. I’m completely shocked that not a single elite D-lineman has jumped at the opportunity to be a part of one of the best teams in the nation. Oregon, Auburn and Alabama are the only teams to appear in more than one championship game since the 2010 title matchup. Oregon lost both games it appeared in, which in part can be attributed to a lack of defensive line depth. Any elite D-lineman anywhere in the country who watched the most recent championship game should have Oregon on his radar as a legitimate opportunity to get early playing time with a top-level team. Oregon still has time to flip this beast from Clemson. When Oregon loses a great defensive end such as Arik Amstead, two power rushers should jump in eagerly to take his place. Only one blue chip wanted to fill the void in 2015 – Canton Kaumatule. Though it’s still quite a while before signing day, a 4-star end had the Ducks listed in his top eight, but chose Clemson instead. You might think he’s from the South, but Xavier Kelly resides in Kansas. Yup! There’s virtually no difference in distance for this play-making athlete. “How does Oregon make an early offer and get in the final list but not even get a visit before losing out to another school? Did the staff ‘give up’?” Kelly picked an underachieving team over the Ducks. Clemson has had two top 10 classes in the last five years, and a record of 48-18 in that time playing only once for the conference title in a less competitive conference than the Pac-12 or SEC. “Who is hogging all the defensive tackles?” If the No. 2 team in the nation isn’t getting any of the available DT’s, then who is? Our friends at 247sports.com and the awesome Crystal Ball predictions give us a glimpse of where each candidate is most likely to sign with in February. The Crystal Ball changes during the year, but offers an insightful gage of where the players are going. So, looking through the list of top tackles, there are several programs that have two or more DT’s committed already with potential for more. 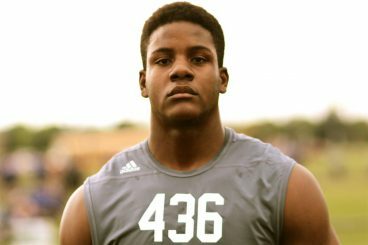 Surprisingly, the University of Houston currently tops all schools, with two top 25 DT’s committing one day apart in May, and two more just this week. Wow! Houston can get four defensive tackles, two of them having elite status, but Oregon can’t even get one! 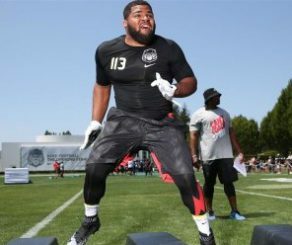 Rashard Lawrence is an elite DT that made an unofficial visit to Oregon. Next is Alabama, with three DT’s committed so far: a 4-star and two 3-stars. That might not be good enough for the Crimson Tide this year, because they have high interest from another six. Then comes Georgia. The Bulldogs have two current top 25 DT’s committed, with the Crystal Ball showing them as the favorite for two more as well. Lastly, LSU is also hoarding defensive tackles. With two already committed, the Tigers are also primed to pick up three more from the top 50. 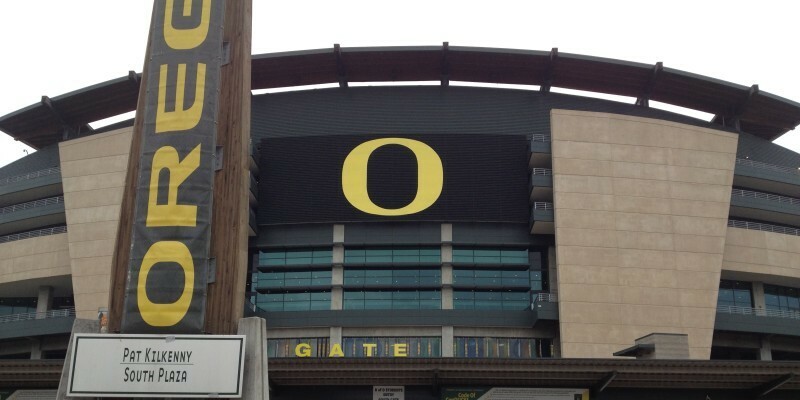 With all these schools getting multiple defensive tackles, I have trouble seeing why Oregon can’t pick up one or two. The last legitimate 4-star DT the Ducks signed was Ricky Heimuli in 2010. 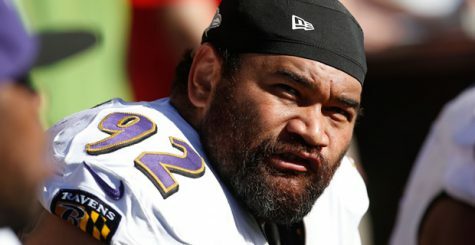 Ngata is arguably the best defensive tackle in the history of Oregon. I’m sure I’m not the only one wondering why offers haven’t been made to certain prospects who would most likely commit to Oregon the moment they receive the offer. Oregon is one of the few football teams to take time with each player to really study him and discover more than his 40 time and how he sheds blocks. Grades are important, too, and so is the way he treats his peers, parents and teachers. If a high school kid learns respect early, then the staff knows his quality of character will keep him from causing huge distractions to the team. Even with the thoroughness of Oregon’s recruiting, I still wonder why certain athletes aren’t getting the nod with a scholarship offer. Some of the names that come to mind are Damian Alloway, Richard Merritt, Andrzet Hughes-Muray, Chase Lucas and Evan Weaver. Alloway is an electrifying player without an Oregon offer. Another athlete similar to Alloway is Lucas. The 4-star from Arizona would thrive in the Oregon offense and would jump at the chance to play in Eugene. Possibly his 166-lb. frame has prevented him from getting an offer. Merritt is intriguing because he is such a huge prospect. The 4-star is 6-foot-5 and nearing 350 lbs. The offensive guard lives on the other side of the country and has included Oregon in his top seven. An offer has still not been extended and it may be due to his weight and perceived slower feet than what’s expected out of Oregon’s offensive line. Finally the two Washington prep stars, Weaver and Hughes-Muray, are both 3-star talents but play positions of need on defense. Weaver is an end that has nice film, which displays his ability to penetrate behind the line of scrimmage. Hughes-Muray is an inside linebacker, which is hard to come by most years unless you convert an outside linebacker. 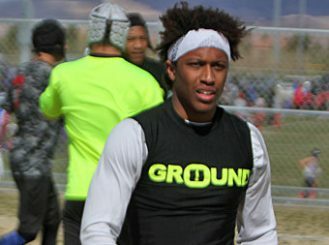 However, his most impressive offers so far are Utah State and Air Force. If Oregon offered, it would be a guarantee that he’d reach double-digit offers within a month. These are just a few questions surrounding college football recruiting that continue even after signing day has passed. I can ask the tough questions until I’m blue in the face, but it will never change the fact that these are difficult decisions to make for teenagers. It’s still fun to ask, though. Special thanks to Duck Territory at 247sports.com for sharing this information with FishDuck.com. Check out their trial subscriptions for the best up-to-date daily information on Oregon recruiting.